Teenagers who died in pop narratives aimed at teenagers used to die mostly of heartbreaking diseases, or in car wrecks, or at the hands of masked slashers motivated by sexual hangups or genre convention. But in 2014, if you’re a fictional teenager, your risk of being killed in an arena-based game-of-death situation has never been greater. Hell is for children, and it apparently rivets real-life audiences just as it does fictional ones: September’s The Maze Runner, in which amnesiac bros square off against robo-scorpions in an experimental labyrinth built by Patricia Clarkson and the awesomely named World in Catastrophe: Killzone Experiment Department (WICKED! ), made $330 million worldwide against a $34 million budget. Like March’s $150 million–grossing Divergent, The Maze Runner is based on a series of young-adult novels about a futuristic society with a teen-murder-based economy; sequels to both are forthcoming, despite lousy reviews and The Maze Runner: Scorch Trials being a colossally dorky title. The hugely successful Hunger Games franchise, the immediate catalyst for all of this, may be winding down, and the real world may be falling apart, but whatever dystopia awaits us in 2015 and beyond won’t involve a shortage of movies about kids killing other kids on murder islands. Francis Lawrence’s The Hunger Games: Mockingjay – Part 1 arrives in theaters this week. It’s the third chapter of what’s become a four-part trilogy. The decision to stretch the story of Suzanne Collins’s last Hunger Games novel across two movies means that this film builds to a final clash between good and evil that we’ll have to wait a full year to actually see. This makes sense from a commercial standpoint, but it’s weird storytelling: While brave bands of grubby extras fight a set-piece war against Donald Sutherland’s hissable President Snow and the vampiric Capitol, Jennifer Lawrence’s Katniss Everdeen spends most of the movie staring in disbelief at things happening on giant TV monitors, struggling with the emotional toll of her two prior trips through the Hunger Games wringer, and taping rabble-rousing viral-video “propos” conceived by game-grid designer turned revolutionary publicist Plutarch Heavensbee (Philip Seymour Hoffman, to whose memory the film is dedicated). The whole film is kind of a propo for the next one, which doesn’t mean it’s not still slyer and smarter than it needs to be about the moral expediencies of hearts-and-minds warfare. Katniss’s shock-treatment radicalization is a means to an end for Plutarch and Julianne Moore’s chilly President Coin; they need her to help them persuade the people of the districts to continue throwing their bodies on the gears. The movie’s generally unconflicted celebration of proletarian terrorism links it to the third season of Battlestar Galactica, the one that aired just five years after 9/11 and invited us to root for human suicide bombers rising up against an army of skin-job occupiers. But when the Capitol’s missiles started shaking the subbasement walls of the bunkerlike District 13, all I could think of was the Imperial assault on Hoth at the end of the first act of The Empire Strikes Back; Mockingjay is what Empire would have been like if that film had devoted an extra hour to ennui and probe-droid recon before the first AT-AT came stomping over the horizon. If the Hunger Games films aren’t the Star Wars saga of our time, it’s only because our time is too saga-glutted for any one mythology to dominate the conversation the way those movies did. The description still fits. Just like George Lucas’s money-minting space fantasy, the latest Hunger Games boldly ransacks ancient and recent history for tropes and ideas — a biblical flood, a pitch-black air-raid sequence right out of Zero Dark Thirty, even storm troopers in mirrored THX 1138 masks — but weaves them together into something more powerful than patchwork. It feels like we’re hearing this story for the first time. No other in-progress fantasy franchise feels as much like a work destined to endure, in the sense that people will be ripping it off for decades. 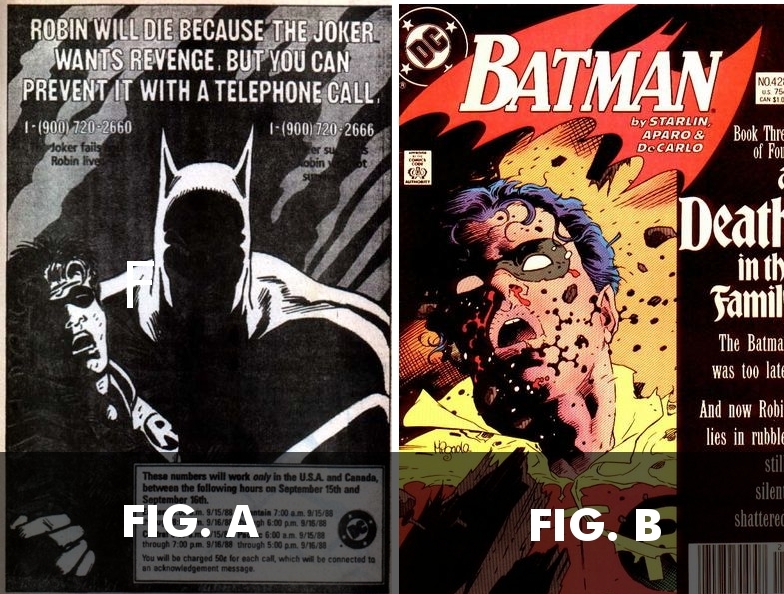 Although it was DC that let fans decide by 900-number vote whether Jason Todd, Batman’s second Robin, would live or die, sending child superheroes to the slaughter is a long-standing Marvel tradition, especially in the X-Men books, where Xavier’s School for Gifted Youngsters was constantly accepting new New Mutants and then throwing them into the line of fire with about as much training as Long John Silver’s gives novice fry cooks. Professor Xavier is a jerk. 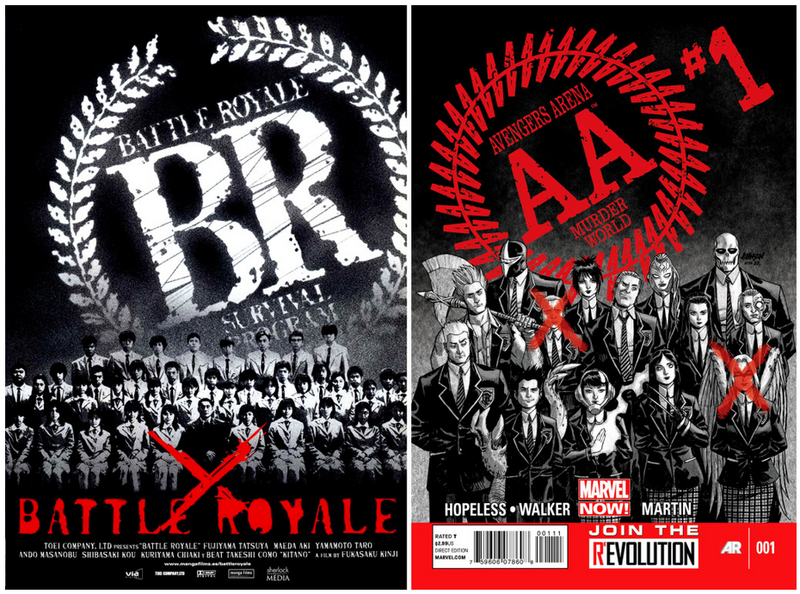 The strangest thing about Battle Royale as a movie is that once the stakes are established and the killing begins, it plays — for a while — almost like a fun teenage adventure in the spirit of John Milius’s kids-vs.-Russkies action drama Red Dawn. As nasty as they inevitably become, these violent, parentless fictional worlds always retain at least some allure, because they’re also free of adult stricture. The dynamic is there in TV’s The 100, about CW-ishly attractive juvenile delinquents who inherit a ravaged Earth after being offloaded from humanity’s space-ark. It was there in CBS’s morally reprehensible, compulsively watchable reality show Kid Nation, which stranded actual children, many of mommy-missing age, in a New Mexico ghost town that resembled a Spahn Ranch cleared of stray Mansons, and then invited us to watch them attempt to nourish and govern themselves. (Somehow nobody died, hence the continued existence of CBS.) But the idea of the feral-teen-topia entered the pop consciousness much earlier, with a book that made the rounds (and was widely rejected) as a postapocalyptic sci-fi novel, before a Faber & Faber editor persuaded its author to delete an introductory chapter about the atomic bombing of Britain and open instead with Chapter 2, about a group of young survivors stranded on an island off New Guinea with no grown-ups in sight. The year was 1954, the author was William Golding, and the book was Lord of the Flies, destined to teach generations of seventh-graders about symbolism and/or SparkNotes. At the return Ralph found himself alone on a limb with Jack and they grinned at each other, sharing this burden. Once more, amid the breeze, the shouting, the slanting sunlight on the high mountain, was shed that glamour, that strange invisible light of friendship, adventure and content. The Hunger Games series applies the slanting-sunlight aspect of its dystopia only occasionally, usually in scenes involving romantically charged bow hunting. 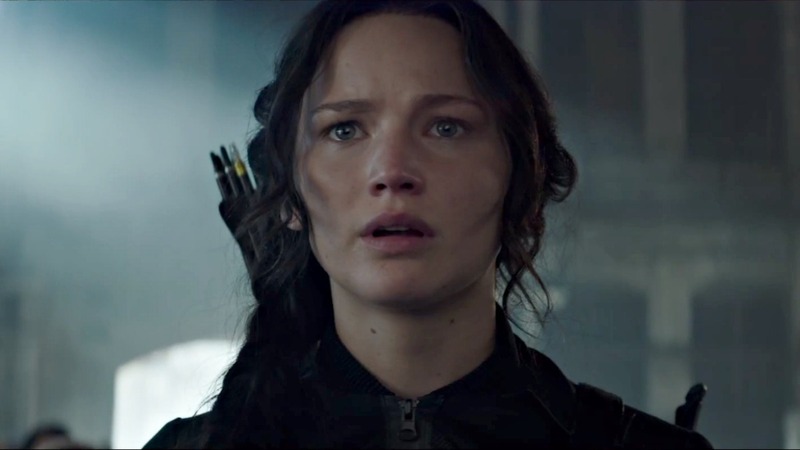 Katniss steps out of a hard life into a harder one, in which she’s broken and broken again. She can’t go on; she goes on. 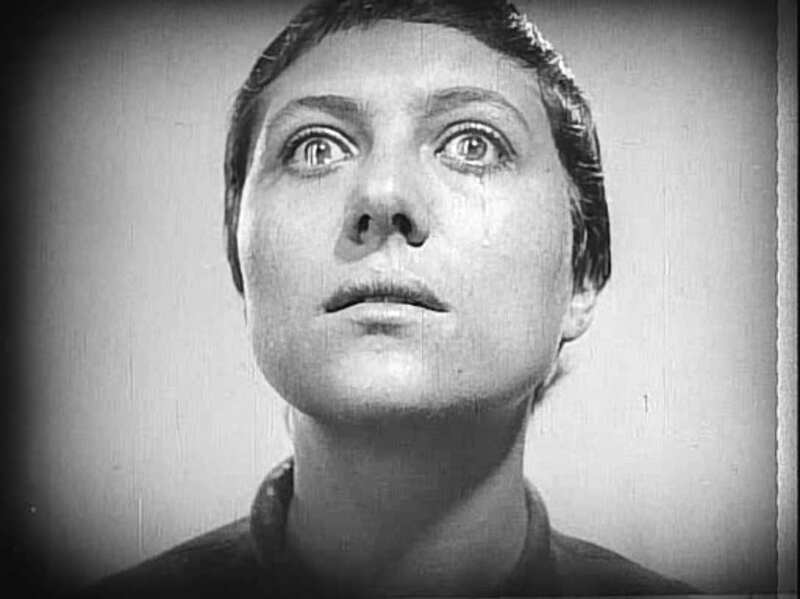 In Mockingjay, Francis Lawrence’s camera returns so frequently to close-ups of Jennifer Lawrence’s quietly agonized face, until the movie starts to play like a YA remake of Carl Dreyer’s The Passion of Joan of Arc, with Maria Falconetti as history’s first-ever teen-martyr superstar. Not unlike Katniss, Joan was also a nationalist mascot, so maybe Mockingjay is really a Joan of Arc movie, like Otto Preminger’s Saint Joan (Jean Seberg’s first movie, three years pre-Breathless) and Luc Besson’s The Messenger (with Milla Jovovich) and David Fincher’s Alien³.